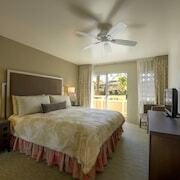 Close to Kapaa and Lihue - 15 mins from the airport and close (walkable) to shops and restaurants. IOB is close to Kapaa. Beach, cycle the ocean path in Kapaa. Kapa'a itself is a hippy-ish beach town with shops and restaurants (Sam's Ocean View restaurant just north of the hotel was one of the best we visited in HI), and the hotel just fit perfectly into the milieu. I like staying in Kapaa by its central. 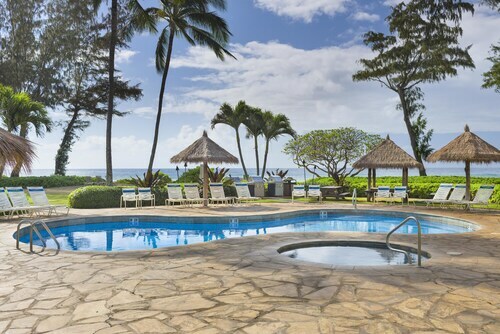 Where to find Kapaa hotels near an airport? How can I find hotels in different Kapaa neighborhoods? 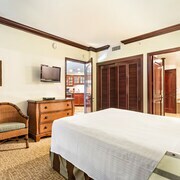 Where can I find hotels in Kapaa that are near tourist attractions? 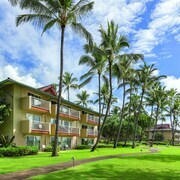 Kapaa vacations offer you a chance to revel in the exotic beauty of Hawaii. Expedia has the keys to Kappa! Let us help you plan an amazing adventure by connecting you with the best rates on Kapaa hotels, flights to Kapaa, and car rentals in Kapaa. This gorgeous town on the island of Kauai is a geological wonder that feels like a gate to heaven for all who are fortunate enough to experience it in person. 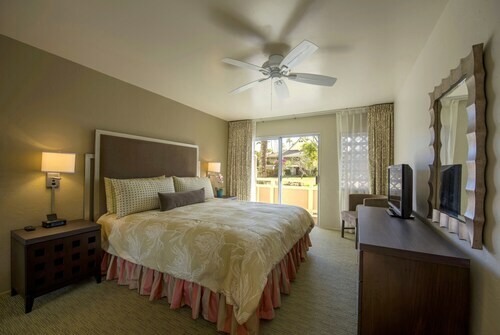 You will need a place to lay your head at night during your stay in paradise. 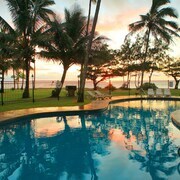 There are many fantastic hotels in Kapaa, HI that offer seclusion and luxury. Many visitors to the island prefer to book their stay in a place where they can enjoy access to convenient amenities like restaurants and shops. Route 56, commonly referred to as Kuhio Highway, is the central vein of the island. Kuhio Highway is the prime spot for shopping and dining at places like the renowned Coconut Marketplace. It is also home to the only hospital in Kapaa. 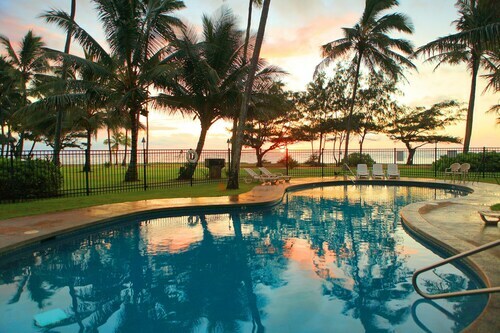 The glowing beaches of Kapaa provide the setting for some of the most magnificent Kapaa, Hawaii hotels. The Royal Coconut Coast is the name assigned to the eastern portion of Kapaa. It has become a designated spot for a multitude of hotels and resorts catering to the tourists who are drawn to the unending beaches hugging the coast along the Pacific Ocean. This makes the spot a great place to stay, if you wish to mingle with other vacationers. It is also the ultimate spot for access to rentals for water sports and excursions. The Royal Coconut coast is home to clusters of gorgeous coconut trees that make for gorgeous photo opportunities. Be sure to pay a visit to the quaint town of Waimea Town, if you stay along the Royal Coconut Coast. The town is built on the spot where Captain James Cook landed in Hawaii in 1778. 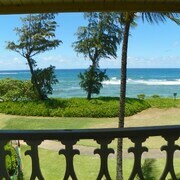 Expedia can get you top deals on rooms at Kauai Kapaa hotels. 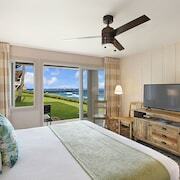 Let us help you discover the best spots to reserve a room during your Hawaiian vacation. Paradise is waiting for you. 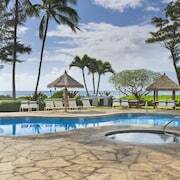 What are the most popular Kapaa hotels? 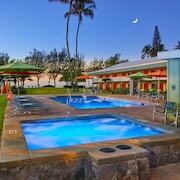 Are there hotels in other cities near Kapaa? 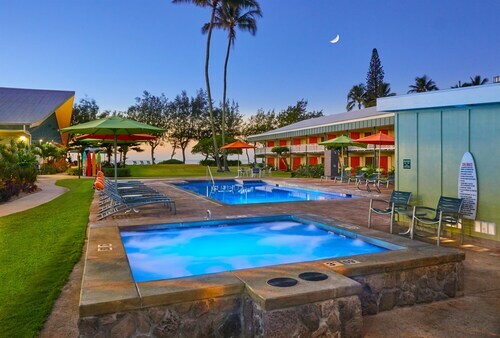 What other types of accommodations are available in Kapaa? Explore Kapaa with Expedia.ca’s Travel Guides to find the best flights, cars, holiday packages and more!